What makes the ReoGo™ unique? 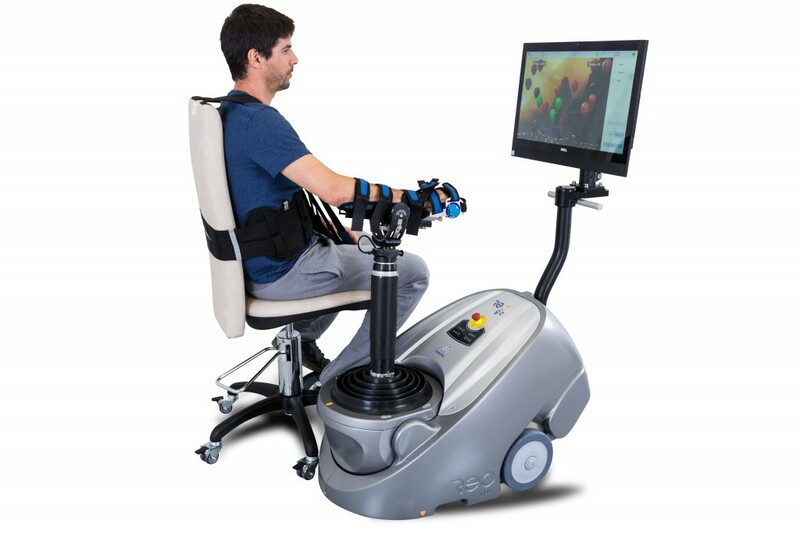 Fully motorized and ergonomic robotic arm, along with advanced software which combines personalized, patient-specific exercises and engaging games designed by leading therapists. Motorika’s innovative ReoGo™ is a highly effective robotic system for upper limb therapy. Clinical evaluations of therapy using the ReoGo™ have been conducted in the US, Japan, Italy, Germany and Israel with a combined total of over 350 sub-acute and chronic stroke patients, with conclusions showing that the platform is safe, has no side effects, and has a significant positive effect on proximal upper extremities movement and synergy movement, as well as on lower function cohort. The ReoGo™ offers dramatic functionality improvements in the shoulder, elbow, and forearm – improvements which are maintained over time. Robot asisted therapy for neuromuscular training od sub-acute patients. Clinical use of ReoGo System for the Rehabilitation of the Upper-Limb Motor Function after Stroke. The ReoGo™ gives us an opportunity to explore ways of treating the arm that we never had before. It helps train sequence and movement patterns by progressively challenging patients with more complex movements. It’s also very easy to use, and once patients are evaluated and set up they can do the work for themselves. In treating patients after stroke we come across many challenges: How do you teach someone to initiate a motion? How do you teach someone to sequence wrist, shoulder, or elbow motion? How do you give them lots of repetition with lots of variation? The ReoGo™ gives us an opportunity to explore ways of treating the arm that we never had before. It helps train sequence and movement patterns by progressively challenging patients with more complex movements. I think devices like the Reo have great potential to be used in all phases of rehabilitation.